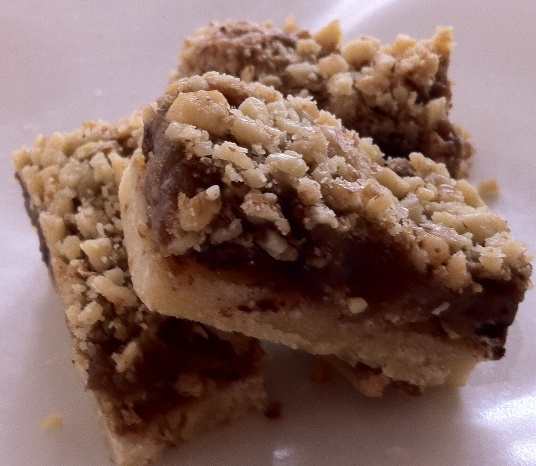 [The Cookie Elf File] Easy Viennese Walnut Bars – and Why Bar Cookies are Awesome! Somewhere in between a cookie and a cake, bar cookies are among the quickest and easiest cookies to bake … ranking them in The Elf’s favorite cookie recipes! Dough and other ingredients are poured or pressed into the pan with sides (instead of on a baking sheet), sometimes in multiple layers. Bar cookies can be crisp or chewy; filled or layered; smooth-surfaced or crumbly on top. Well-known types (like brownies, blondies, and lemon bars) have been supplemented in recent years with a profusion of new bar cookie recipes, like Viennese Walnut Layer Bars -- which combine the elegance of a pastry served at European tea time with the ease of making a bar cookie recipe. Walnuts, chocolate, and coffee give these bars their rich flavor. Get the full recipe for Viennese Walnut Layer Bars. Plus be sure to check out our Bar Cookies Pinterest board for more bar cookie inspiration.